The Justice & Advocacy Academy is designed to sharpen the skills of persuasion in students with a passion for justice and changing the world. The academy provides real life experiences to inspire and prepare our students for university programs in law, political science, and criminal justice. Careers in the fields of justice and advocacy include attorneys, judges, law enforcement and a variety of political, non-profit, and medical lobbyists. All of these careers require dedication, a passion for people, and the critical skills of persuasion. At the core of our J&A Academy is the opportunity for students to participate in at least one of our award-winning Mock Trial, Moot Court, Model United Nations and We the People Teams. Students work with members of the professional community to prepare for competition, then face off against other schools throughout the country. J&A teams compete locally and have also traveled to Reno, Boston, New York City, Washington DC, Los Angeles, Raleigh, Denver, Boise, Newport Beach, Berkeley, and San Francisco. Teams have competed in Federal and District courthouses throughout the county, the United Nations, Harvard University, UCLA, American University, Denver University and George Washington University. Current course offerings in social science and English are supplemented with J&A course offerings of Persuasion and Argument, Trial and Advocacy, Forensic Science, and Criminal Justice. Students will complete a 50+ hour internship or other related experience. The J&A program includes field trips, guest speakers, and authentic courtroom experience in our very own Faith Lutheran courtroom.  Faith Lutheran High School offers J&A endorsements in Jurisprudence, Diplomacy, and Criminal Justice. An endorsement is added to a student’s transcript upon completion, providing them with a competitive advantage over traditional college freshmen. A J&A Endorsement announces to universities that the student has accomplished a well-rounded, rigorous program in the areas of social and political science. Additionally, it will indicate that the student has become proficient in leadership, writing, and public speaking especially pertaining to justice and advocacy. - Have a weighted GPA of 3.5 or higher. - Earn an 80% or higher in Trial & Appellate Advocacy, Sociology, Forensic Science, Trial Advocacy - Honors, or Sport & Performance Psychology for first semester. - Participate with one of our Mock Trial, Moot Court, Model United Nations or We the People Teams during that same school year. Students must yearly participate in at least one of the following: Mock Trial, Moot Court, Model United Nations and We the People. Students are also required to complete an approved 50+ hour internship by working with law firms, courts, law enforcement, politicians, action groups, or participating in Trial by Peers.